The point about the second (or Aqsa) intifada is important. After Arafat rejected Ehud Barak’s peace offer at Camp David in 2000, there should have been a rethinking of the assumptions of the peace process. But during the next year stories started emerging claiming that Barak’s offer wasn’t as generous as portrayed; effectively making excuses for Arafat. When Arafat launched his terror in September that, too, should have caused a reconsideration of premises, but the importance of Arafat’s betrayal of Oslo was lost as the media (and many diplomats) sought to cover for him again by placing blame on Sharon for causing the violence and unjustly accusing Israel of using disproportionate force in response to the violence. After thirteen years there’s been more than enough time to correct the record but the media is either too lazy or ideological (or both) to do their job properly. I won’t discuss other media myths about Ariel Sharon as Honest Reporting has done a comprehensive job on that. I thought that it would be nice to focus on articles that remember the former Prime Minister outside of the usual treatment he got from the MSM. Israel’s critics love to emphasize instances when Israel misbehaved during the 1948 war. In this case we learn that the Jordanian soldiers were killing the wounded Israelis. Sharon had his troops climb over the sand dunes to enter the trench lines at their top end and attack down their length – a simple maneuver that the Egyptians could have defeated had they not been pinned down by an artillery barrage and Israeli tanks firing directly at them. The Israeli infantrymen had taped flashlights to their helmets so that the tank gunners could direct their fire at the Egyptians just ahead of them. Still, the Egyptian artillery was superior, and should have at least silenced the tanks firing at the trench line. But paratroopers, flown in by helicopters, suddenly jumped the Egyptian gun crews, who never had a chance in hand-to-hand combat. The Egyptians’ tanks could still have counter-attacked, but they were engaged by an Israeli tank battalion that appeared from well behind the trench lines, having crossed supposedly impassable sand dunes. Then the Israeli tanks that had been shooting up the trench lines crossed over them to enter the box, and finish off Egyptian resistance. The road through Umm Katef was opened. Sharon had once again broken the basic rules of warfare, yet won total victory. After his military career, Sharon entered politics. As David Pollock writes he still fought two major wars. The second one was critical. Sharon’s last military venture was much more successful, with favorable political results that continue to shape the prospects for Israeli-Palestinian peace talks to this very day. A man who began his political life as a protégé of David Ben-Gurion and then rose to influence under Begin finally achieved the pinnacle goal of sweeping Likud to electoral victory shortly after the failure in late 2000 of the second Camp David summit and the outbreak of the second Palestinian uprising. 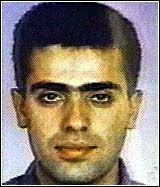 New prime minister Sharon then conceived and led Operation Defensive Shield, a series of large-scale incursions to root out Palestinian terror cells from West Bank cities at the height of the second intifada, in 2002-2003. Once again there were wildly exaggerated media accounts of Israeli responsibility for massacres, most infamously in Jenin. The accusations were false; and despite all the naysayers inside and outside Israel, the military campaign largely succeeded. As Benjamin Weinthal points out Sharon fortified that victory by building a separation barrier. While many European countries and politicians shamelessly and hypocritically slammed Sharon’s construction of a security barrier and other counterterrorism measures to stop Palestinian attacks, the efforts speak for themselves: According to Israel’s foreign ministry, suicide terror attacks numbered 55 in 2002, causing 220 deaths. In 2005, the last year of Sharon’s premiership, the data showed seven attacks, causing 22 killings. Two years later, in 2007, there were three deaths reported. While it’s impossible to know if this was the blueprint for Sharon’s war on terror, Charles Krauthammer wrote a column in 2001 recommending that Israel withdraw from Gaza and build a barrier. (He followed it up with a number of columns including one in 2003 and another in 2004 chronicling Israel’s success in fighting Arafat’s terror war and the world’s (including the Bush adminstration’s) hypocrisy in condemning Israel. Sharon did all that. We are still waiting. 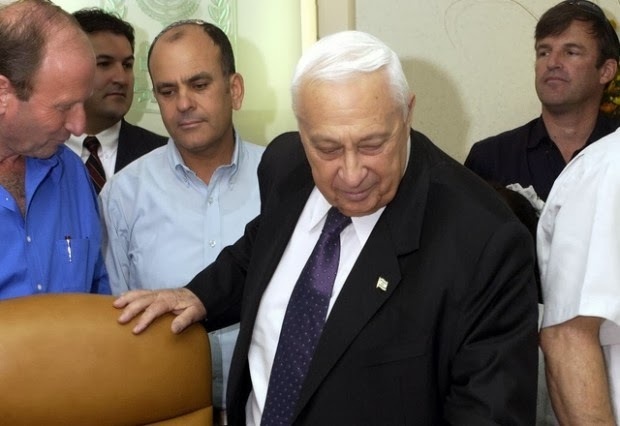 Technorati Tag: Israel and Ariel Sharon and Media Bias.